Reducing our carbon impacts has to start with understanding what they are. We know the creation of a new shopping centre is a significant carbon event that uses large quantities of raw materials and resources. We also know that operating a shopping centre forms a series of smaller but cumulatively larger carbon events over it's lifetime. To get smarter at reducing both our capital and operational carbon impacts we need to build a set of data that can inform our thinking about what decisions need to be made to reduce those impacts and when. Whilst there are carbon data sets out there, we recognised a need to understand more about the assets we are designing and operating. 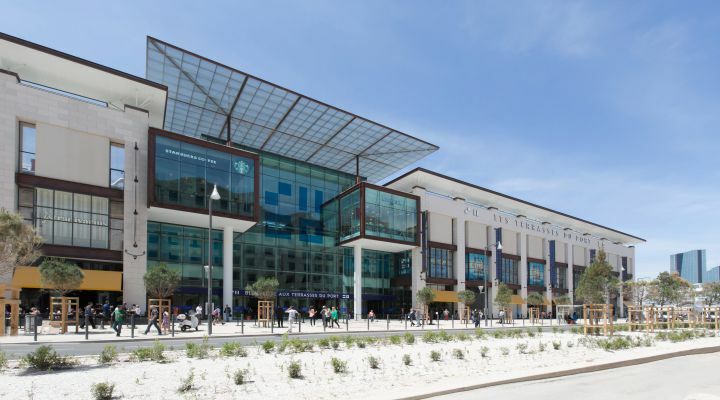 So we commissioned PE International to carry out a life cycle carbon assessment of Terrasses du Port, our most recently opened shopping centre, in Marseille. The work provided a cradle to cradle analysis of the carbon impacts of the centre over a 50 year life. It has immediately identified areas where savings can be made through different design decisions and has highlighted the importance of designing a centre to operate as efficiently as possible. The work also highlights the impacts of energy sources. In France, where the grid energy is largely nuclear, the carbon emissions of the operational phase of the life of the building accounts for approximately 40% of life cycle carbon emissions. In the UK where the grid is more heavily dependent on fossil fuels, the operational phase represents closer to 75% of overall life cycle carbon emissions. So decisions to reduce operational emissions and improve efficiency are even more critical in the UK as is de-carbonisation of the grid. Nuclear energy is not necessarily the answer but neither is burying your head in the sand (even if you think you might find some oil down there). The key findings from the project are available here . If you have any feedback, comments or questions, let us know. Cambridge University has also produced useful research focused on embodied carbon in construction as part of the UK Government's Construction 2025 programme. This work again identifies the practical benefits of reducing embodied carbon in projects and highlights key actions and ideas to support this. The report can be downloaded here .